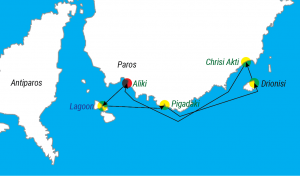 We have a selection of preferred boat tours around Paros and the Cyclades. We offer full day or half day tours. Our tours include skippered, fully stocked boats. Contact us about creating a custom tour of your liking.